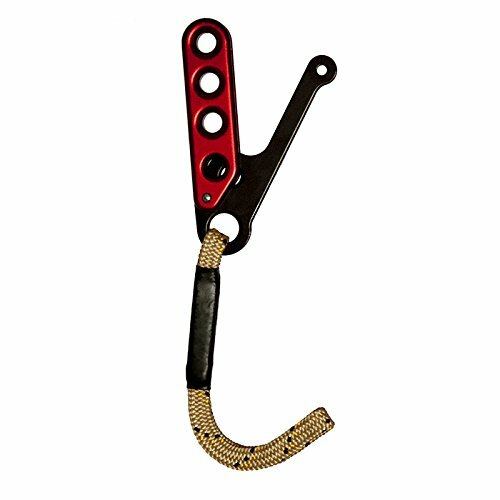 Sterling has teamed up the innovative F4 escape device with the Tech Extension Lanyard to offer a complete escape device/attachment point for use in personal escape situations. The Tech Extension Lanyard is constructed out of a hollow-braid Technora cord for superior heat resistance. The Tech Extension is used to help extend the F4, away from the harness.The lanyard is sewn directly to the F4, eliminating the need for a girth hitch. The F4's sleek, lightweight design is compatible with Sterling's 7.5 mm to 9 mm escape ropes. The auto-locking feature adds security and confidence for a hands free exit of the structure. Engineered to allow easy horizontal movement. The low profile shape will pack easily in many bag styles. Color: Red. Made in USA.